BUTUAN CITY, Jan. 16 (PIA) – The Lamingan National High School of San Luis, Agusan del Sur grabbed the championship during the Street Dancing Competition of the 2017 Kahimunan Festival held at Libertad Sports Complex here. They received the cash prize amounting to P200,000.00. The combined contingents from Barangay Sta. Irene, Prosperidad and San Francisco, all in Agusan del Sur grabbed the second place during said competition and received the cash prize amounting to P175,000.00. The third place was also awarded to the Father Saturnino Urios College of Bayugan Incorporated of Bayugan City, Agusan del Sur and received the cash prize amounting to P140,000.00. Also, the Festival Queen award was given to Libertad Central Elementary School, which also received the consolation prize amounting to P60,000.00. Meanwhile, the following contingents received special awards: Best in Street Dancing - Sta. Irene, Prosperidad and San Francisco, Agusan del Sur; Best in Costume - Lamingan National High School of San Luis, Agusan del Sur; Best in Musicality - Sta. Irene, Prosperidad and San Francisco, Agusan del Sur. Agusan del Sur 1st District Representative Ma. Valentina Plaza graced the event and extended full support to all the contingents from the province. CABADBARAN CITY, Agusan del Norte, Jan. 16 (PIA) – The city government here spearheaded a ceremony aimed to honor the barangays that are espousing the principles of good governance in the city. The ceremony dubbed as “Gawad Galing sa Katangi-tangi at Tapat (GGKaT) na Pamamalakad” provided incentives to the winning barangays with barangay development projects. They also received a marker that symbolizes excellence in barangay governance. To become an awardee, a barangay must receive a rating for its 2015 performance results of more than 80 percent based on the standards set by the Department of Interior and Local Government (DILG) and the city government. 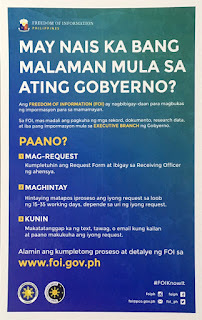 The barangays who got a performance rating results of 90 percent to 100 percent (Gold Passer Awardees) were: Katugasan with 100 percent; Mabini - 100 percent; Poblacion 3 - 99 percent; Calamba - 96 percent; Poblacion 4 - 95.5 percent; Poblacion 5 - 94 percent; Poblacion 8 - 94 percent; Kauswagan - 93 percent; Tolosa - 93 percent; Poblacion 7 - 92 percent; Comagascas - 92 percent; Puting Bato - 91 percent; Poblacion 2 - 90.25 percent; and Del Pilar with 90 percent rating. For those barangays with below 90 percent but not below 80 percent performance rating results, they belong to the Silver Passers, were: Antonio Luna - 87.75 percent; Soriano - 87 percent; Poblacion 11 - 83 percent; Cabinet - 82 percent; Poblacion 1 - 80.75 percent; and Poblacion 12 with 80 percent. During the ceremony, special awards were also given to some barangays. An Excellence in Participatory Governance was given to the barangays of Poblacion 5; Cabinet; Katugasan; Mabini; and Soriano. And award for the Excellence in Accountable Governance was also given to the barangays of Poblacion 3; Poblacion 4; Poblacion 7; Calamba; Comagascas; Kauswagan; Katugasan; Mabini; Puting Bato; and Tolosa. Barangays Poblacion 3; Poblacion 5; Poblacion 8; Poblacion 11; Antonio Luna; Cabinet; Del Pilar; Katugasan; Mabini; and Soriano also received the Excellence in Responsive Governance awards. 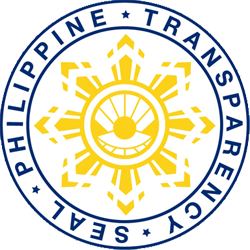 For the Excellence in Transparent Governance Awards, the following barangays were awarded: Poblacion 3; Del Pilar; Katugasan; Mabini; and Mahaba.